Are You on the Paleo Diet? You Can Still Have Thanksgiving Dinner! While the most obvious Thanksgiving dish, turkey, is paleo-friendly, other Thanksgiving classics are not paleo-approved because they contain ingredients like dairy, grains, sugar or white potatoes. 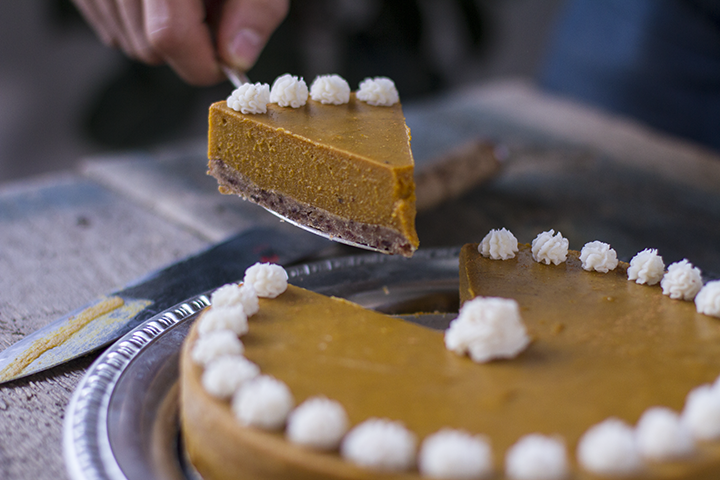 However, it’s still easy to have a tasty paleo Thanksgiving dinner with these recipes. Mashed potatoes are a Thanksgiving staple, but they are not paleo-friendly because of the white potatoes. 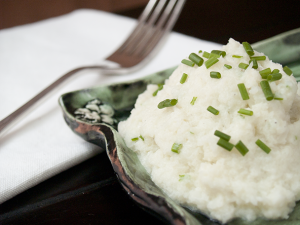 Instead, try making this Mashed Cauliflower from The Clothes Make the Girl. 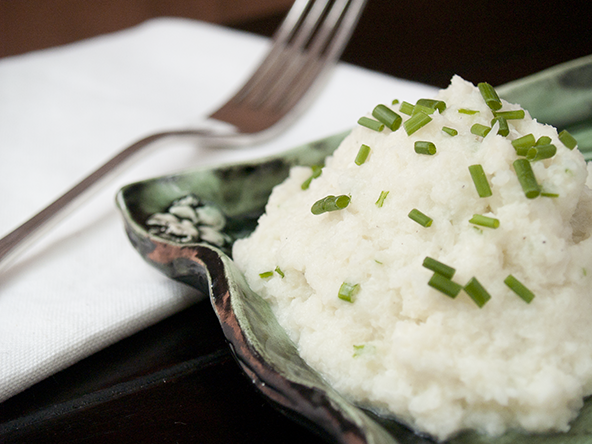 Mashed Cauliflower has the same texture as mashed potatoes, aided by the addition of coconut oil and coconut milk. Traditional green bean casserole usually contains dairy products, which are not paleo-friendly. 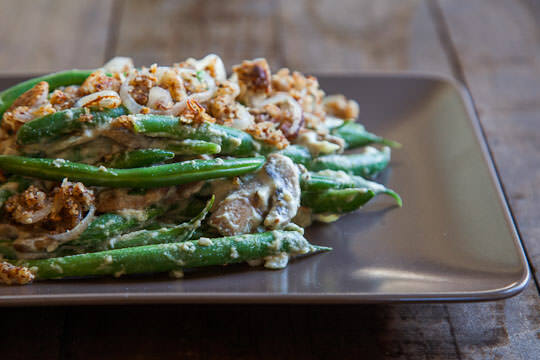 This Vegan Green Bean Casserole by Irvin Lin of Eat the Love uses nuts and arrowroot powder to create a creamy and flavorful green bean casserole that is paleo-friendly as well as gluten-free and vegan. 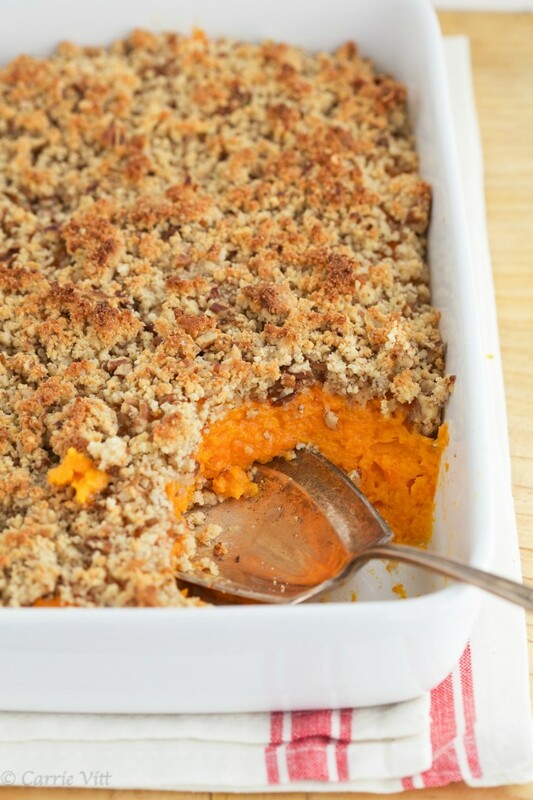 Stuffing is a Thanksgiving staple, but traditional stuffings are not paleo-friendly. 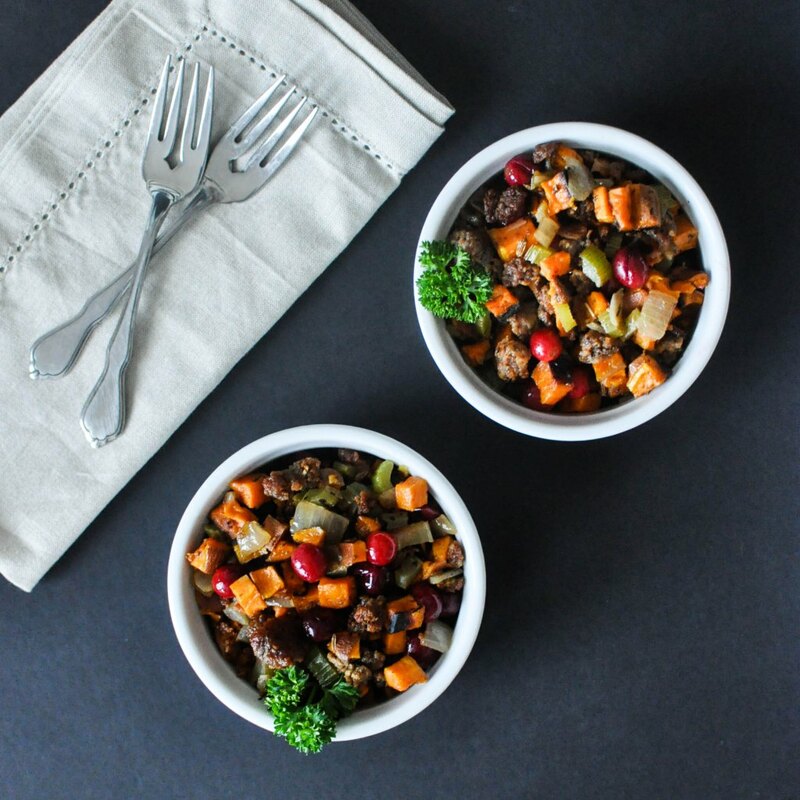 Enter this Paleo Sweet Potato Cranberry Stuffing from Fed & Fit, which combines great Fall flavors into a tasty stuffing. 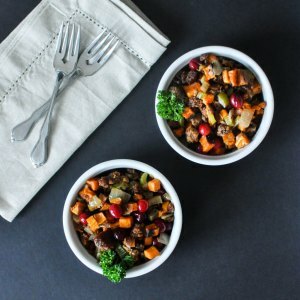 Cassy uses sweet potato croutons in place of bread, and adds cranberries, which she says really brighten each bite. 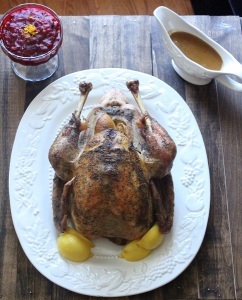 For the piece de resistence, try this Roasted Turkey and Pan Gravy from Holistically Engineered. It’s paleo-friendly and low carb, but is still nice and moist. 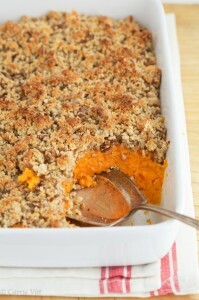 This Sweet Potato Casserole from Deliciously Organic tops a sweet potato mixture with a crumbly pecan topping. This dish is naturally sweetened with honey and uses coconut milk instead of dairy. 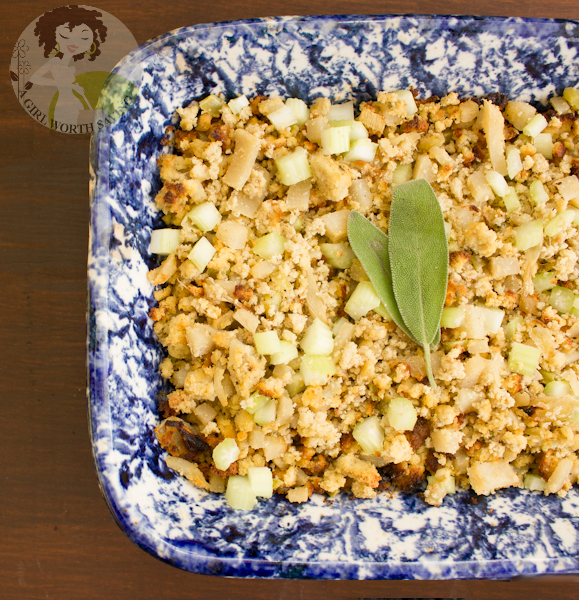 For a cornbread stuffing that is paleo-friendly, try this Paleo Thanksgiving Stuffing from A Girl Worth Saving. 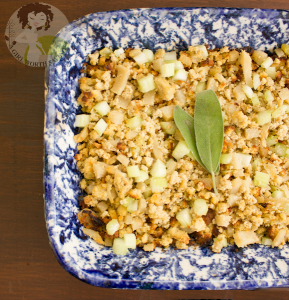 Kelly includes a paleo cornbread recipe to form the base of the stuffing and adds flavor and texture with ingredients like jicama, celery, onion, sage and cumin. This gorgeous Pumpkin Spice Cake with Gingersnap Crust by Autoimmune Paleo makes an impressive dessert. Naturally sweetened with maple syrup and dates, Mickey says that even her family and friends not following a paleo diet loved it! This entry was posted in Nutrition Tips and tagged nutrition tips, paleo, paleo diet, thanksgiving on November 11, 2014 by TeamBooya.